Another birthday, another birthday doodle! Another teenager in the house. God help us. 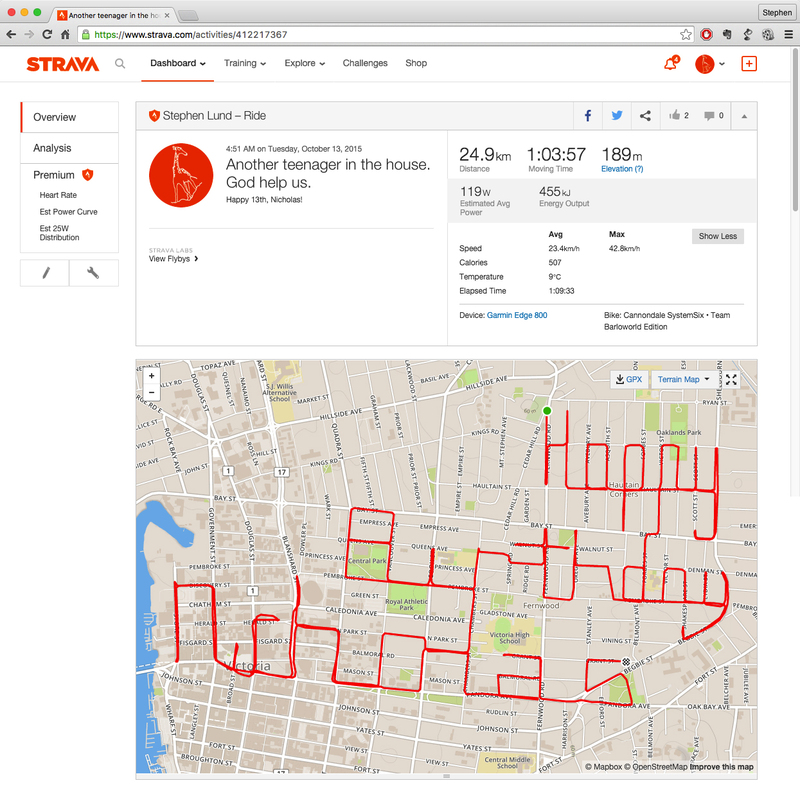 This entry was posted in bike-writing, gps art and tagged bicycle, bicycling, bike-writing, birthdays, creativity, cyclist, garmin, gps, gps art, happy birthday, strava, strava art, teenager, victoria bc. Bookmark the permalink.